Two sisters bound by love and courage continue their oh-so-familiar conversations regardless of being separated between the paths of life and death. This is a true story of two deaths and one life, which has proven that the bonds of love do exist beyond the grave. After the sudden death of Angela’s mother and shortly thereafter her sister, Angela refused to believe that she had lost them forever. She set off on a journey in search of the truth. 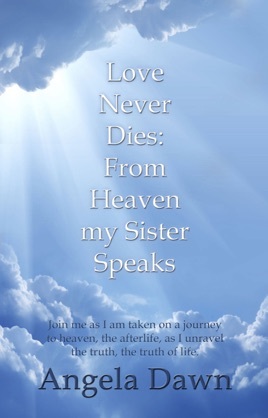 Her mother and sister guided and supported her as she discovered a world of existence in the afterlife. They speak about their life in heaven, about God the Creator, the universe, mankind, the reason for living and the soul's purpose. The discovery and understanding that Angela experienced, brought much comfort in a time of grief. Join Angela as she is taken on a journey in which she unravels the truth—the truth of life.